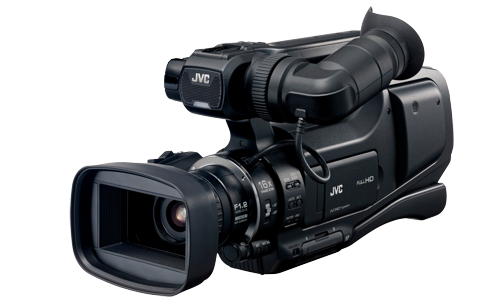 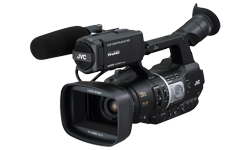 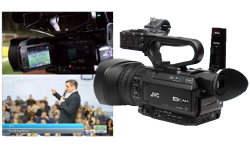 The GY-HM70E is a shoulder-mounted camcorder with a professional appearance and with excellent image results in low-light situations, making it ideal for videographers working at weddings and other special events where additional lighting might not be suitable. 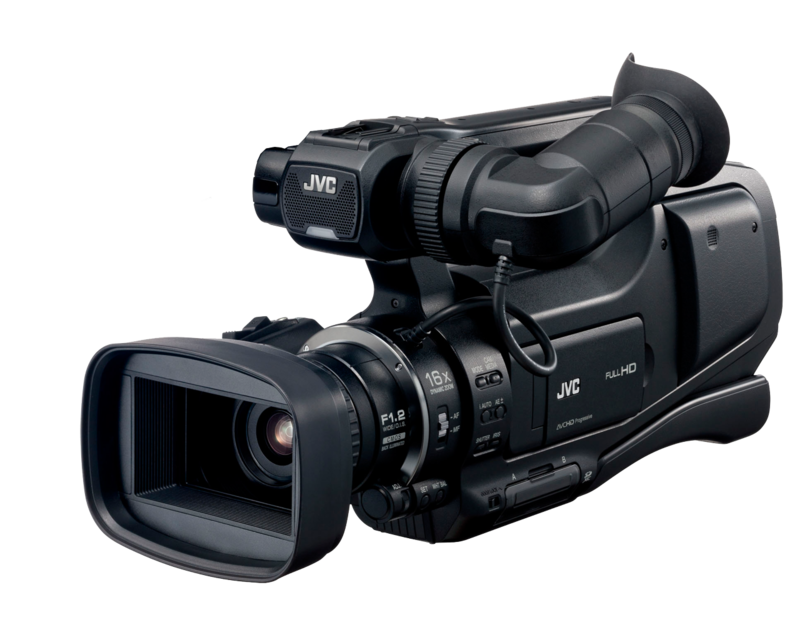 It has a dynamic 16x F1.2 bright lens and offers high-speed recording of up to 250fps. 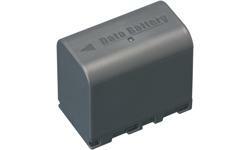 It also has dual battery docks for continuous, uninterrupted power.